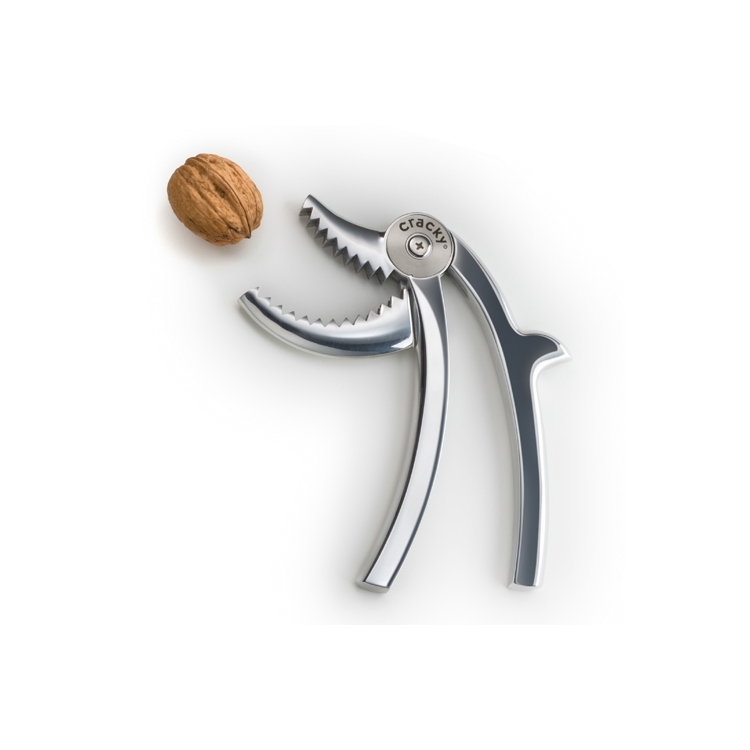 Cracky is an unusual nutcracker – half laughing dolphin, half Tyrannosaurus Rex. 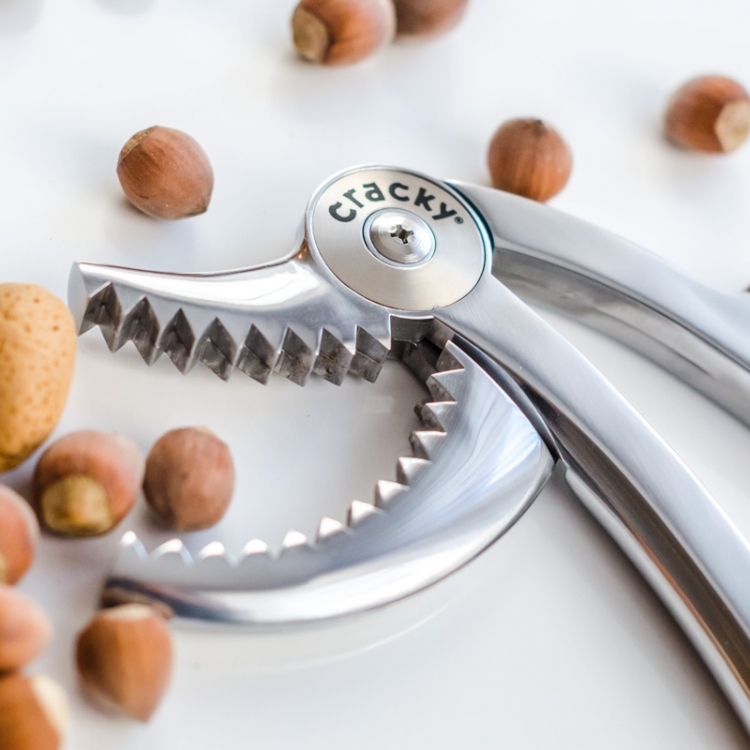 Cracky’s outstanding feature is its mighty teeth and its gaping mouth, which can effortlessly break nuts of any size. 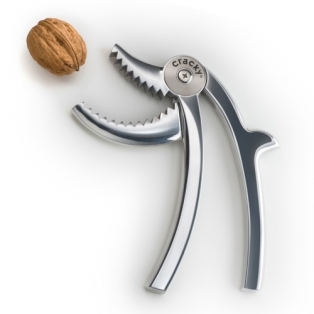 Once placed between the teeth, the nuts are virtually incapable of further resistance. Also important is the fact that Cracky’s arms are held apart by a spring, so its mouth always starts off wide open and ready to grab a nut. Moderate force applied with one hand is enough to crack the shell in precisely the right place, with the handles and jaws only moving a few millimetres towards one another.